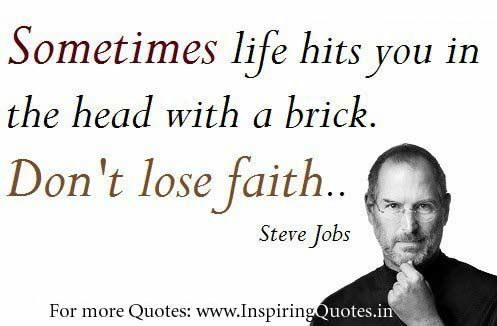 Steven Paul Jobs(Steve Jobs) was born in February 24,1955. His biological parents were Joanne Carole Schieble, Abdulfattah Jandali. The adoptive parents of Jobs are Paul and Clara a lower middle class couple. Jobs father Paul was a mechanic and built some mechanic arrangements to Jobs. Jobs was admired his father because he knew to built anything. When he was ten years old he was deeply involved in electronics. He was studied in Homestage High School. When his school days he found difficulties on functioning in a traditional schools system and frequently misbehaved and was suspended many times. Then clara thought him in home. After that he joined in Reed college and then he study only one semester and he dropped out from Reed College. He met his close friend who the co-founder of Apple Inc Steve Wozniak at his 13th age and at that time Wozniak was 16. He was more interested in Eastern Philosophy. On 1974 he decided to travel India. He spent seven months travelling around India, experimenting with psychedelic drugs and eventually recovered from that by the practices of Zen Buddhism. In 1974 he got his first job in Atari as a game maker. In that company he was put into night shifts because of his pranks. He was the founder, Cofounder, and CEO of Apple Inc.
And founded Pixar which was an animation film studio in Emeryville, California. In 1985 he resigned from apple and founded a new company called NeXT. He is also a partner of Walt Disney. He worked with six industries in his life time. They are Personal Computer, Animated Movies, Music, Phones, Tablet Computing, Digital Publishing. He dropping out his college in 1974 and decided to travel to India. And study about Buddhism. His life story is not like a normal man’s routine life. It most like a winding path. He searched himself for a long time. Apple company is the world’s second largest information technology company by revenue. Apple Company was founded on April 1, 1976 by Steve Jobs, Steve Wozniak and Ronald Wayne at Los Altos. At the first time the company was founded for selling the Apple Ι Computer. It was designed and hand built by Steve Wozniak. At that time its price was 666.66$ Wozniak likes repeating digits so that Jobs fixed the price as 666.66$. This computer contains assembled circuit with 60+ chips. It did not have any graphical user interface, any programming language. Apple ΙΙ was introduced in June 10, 1977. It was primarily developed by Steve Wozniak. Audio cassette is used for loading program and storing data. Later it was replaced by the floppy disk drive used for storing and retrieving process. The memory capacity of RAM is 4KB. It contains upper case only keyboard with 52 keys. Display and graphics uses NTSC television signal standard for colors.PCB board were manufactured in Ireland and Singapore. Apple ΙΙ was one of the most recognizable and successful computers during 1980 to 1999s. It was the first computer that went on sale with MOS technology 6502. Apple ΙΙ plus was introduced in June, 1979. Which included the Applesoft BASIC programming language in ROM, it was authored by Microsoft and later primarily used for floating point arithmetic operations on Apple ΙΙ and became the standard BASIC dialect of Apple ΙΙ series. Graphics and disk booting systems are improved in Apple ΙΙ plus. It contains 48KB built-in memory. Except that changes it was identical to Apple ΙΙ. Apple ΙΙ Europlus and J-Plus: After the success of Apple ΙΙ series the company expanded their market into Europe, Australia (Europlus), Japan (J-plus). But in the most part Apple ΙΙ was same as the Apple ΙΙ Europlus and J-plus, but only the Apple keyboard layout was changed in Japanese version to allow for writing katakana (Japanese syllabary). In other countries it was sold with an unmodified American keyboard. Apple ΙΙe was developed in 1983 followed by Apple ΙΙ plus, ‘e’ indicates the enhanced version of Apple ΙΙ. When Apple ΙΙΙ was introduced in 1980 the company discontinued the versions of Apple ΙΙ but it didn’t reach its goal it lead to the recreation of Apple ΙΙ series. Apple ΙΙ was implemented in addition with full AsCII character set and keyboard, It has the one important feature that is the ability to input the lower case letters, Four way cursor control was initially implemented in this system. It uses the ProDOS operating system specially created for Apple ΙΙe. The memory capacity is expanded into 128KB of RAM and 16KB of ROM. It contains a special auxiliary slot that accepts 1KB memory card. 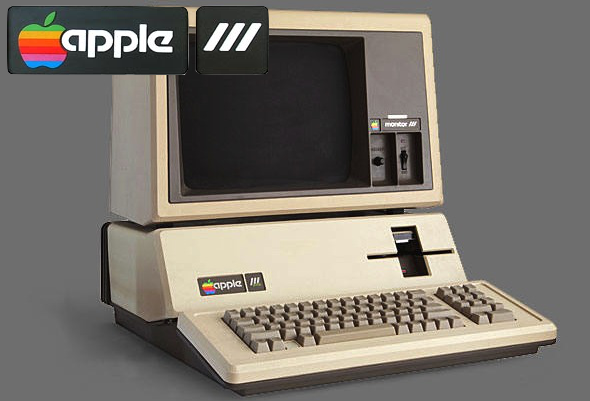 It was the most popular Apple ΙΙ computer which was called as the ‘workhorse’ of the line. It was the only long-last lived apple computer that was manufactured and sold with minor changes for 10 years. Apple ΙΙc was introduced in April, 1984. It was mainly created for the portable purpose and it could be easily carried but lacked in built-in display and battery. It uses a snow white design language which was an industrial design language used by Apple computers from 1984 to 1990 and has vertical and horizontal stripes for decoration and illusion. It contains 128KB RAM. It support DHGR (Double High Resolution Graphics) mode for display. Apple ΙΙc was the first microcomputer that uses Dvorak Simplified Keyboard which used less finger motions and reduces error compared to the standard QWERTY. Apple ΙΙGS computer was released in September 15, 1986. It contains new graphic modes having higher resolutions with a palette of 4,096 colors and upto256 colors on the screen. This computer was best suited to displaying the statistic images. This model achieved this compatibility by using a single chip called as Mega ΙΙ which contains all the functional equivalents of Apple ΙΙe combined with the flawless 65C02 emulation mode of 65C816 processor. It was the main reason of legacy of the Apple ΙΙGS. The memory capacity of Apple ΙΙGS was 256KB. It contains built-in peripheral ports and a ROM tool box that supported for the Graphical User Interface. The first 50,000 of Apple ΙΙGS computers came with the signature of Steve Wozniak as “Woz Limited Edition”. But they are not functionally different from other computers that are released without signature. Apple ΙΙc plus was introduced in 1988 which was the last computer of Apple ΙΙ series. Its size and shape were similar to Apple ΙΙc but the only difference was 3.5 inch floppy drive had been replaced with 5.25 inch floppy drive. Like Apple ΙΙc , Apple ΙΙc plus was also used snow white design language. It contains the new keyboard feature which could be matched to the Apple ΙΙGS. By using a speedy processor, it was an excellent compact machine to do Apple company ’s works. Apple ΙΙΙ was introduced in May 19, 1980. Used the Apple SOS (Sophisticated Operating System) which was a single tasking operating system specifically designed for Apple ΙΙΙ. This Sophisticated Operating System makes the resources of Apple ΙΙΙ available. It was largely considered as a failure in market but it intended the success of the Apple ΙΙ series. It was the first Apple product that allows user to choose the screen font and the keyboard options (QWERTY or Dvorak). It was introduced a new BASIC interpreter called as Apple ΙΙΙ Business BASIC. It had the system utility programs which allows the system configuration and file manipulation. It includes the Upper &Lower case characters and numeric keypad. Apple ΙΙΙ was discontinued in 1983. Apple Lisa was the personal computer which was introduced in January 19, 1983. It was the first personal computer which offers Graphical User Interface that focused on individual business applications. The name indicates Steve Jobs daughter Lisa or acronym of Local Integrated System Architecture. It was sold poorly and only 1, 00,000 units were sold. This makes Steve Jobs out from the Lisa project and joined to the Macintosh project. Lisa was the major project at Apple which spent more than 50 million$ for its development. It consists of 1MB of RAM. It was more advanced than Macintosh system that consists of protected memory and cooperative multitasking. It uses two sided 5.25 floppy disk drives each of them having capacity of 871KB. It was more commonly known as ‘Twiggy’. Lisa 2 was released in January 1984. Lisa 2/5 indicates that Lisa 2 bundled with External 5MB or 10MB hard drive. It replaces the Twiggy floppy drive by a single 400K Sony microfloppy. It was much less expensive than the original model. Like the Apple ΙΙ it was an open system. It contains two RAM slots. One was CPU slot and another one was I/O slot. There were three Lisa slots parallel to each other. The final revision of Lisa 2/10, modified and sold as the Macintosh XL. Macintosh XL was the modified version of Apple Lisa. Introduced in January 1,1985. It was shipped with MacWorks XL (An Apple Lisa software program that shipped with Macintosh XL) which allows 64K Macintosh ROM emulation. It had 400K 3.5 floppy drive and internal 10MB hard drive. At the time of release it was also called as “Hackintosh”. Because it was created from unusual components of parts and the Mac OS x was the hacked version of OSx86. In this computer CPU was replaced by a new CPU board with 8MB RAM called the XLerator 18. The main purpose of rebranding the Lisa as a Macintosh XL was the ditch effort of Apple to save the poorly sold Lisa. Despite its relative success Apple would have lost money because of Macintosh XL. It was the first mass produced computer with Graphics User Interface introduced in January 24, 1985. It have 128KB built in memory came with keyboard and mouse. It was designed to achieve high graphics performance. It used the Motorola 68000 microprocessor. The boot procedure and Os routines were contained additional 64KB ROM. The 68000 microprocessor had unrestricted access to DRAM which leads to reduce the overall system performance of CPU. This made the machine ran slowly and its competitors have high performance computers than it. Its display was in black & white color that was produced by CRT method with pixel resolution of 512×342 pixels. The software used in this system was System & Finder application known as system 1.0 that includes the Mac Paint, Mac Write applications. This machine was redesigned and released as Macintosh 512K in September. It expanded the memory from 128KB to 512KB. The 128K Macintosh was nicknamed as thin Mac and 512K Macintosh was nicknamed as thick Mac. Macintosh Plus was introduced in January 16, 1986 after the Macintosh 512K. It was the third model that in the Macintosh Series. It was the first model that includes SCSI port (Small Computer System Interface, stands for physically connecting and transferring data between computers and peripherals) and SIMMs (Single In-line Memory Modules). In this model 512K memory shipped with 1MB RAM standard and expandable to 4MB. In January 1987 it was transitioned into Apple’s long-lived platinum-gray color. It also included the third party software applications such as MacDraw, Microsoft Word, Excel and PowerPoint, Aldus’s pagemacker. The problem in this computer was the lack of fan that cause the life cycle of a Macintosh Plus to end early. iPod is a kind of portable media player introduced by Apple in October 23, 2001. It can serve as an external storage medium. The current three versions of iPod are iPod Shuffle, iPodNano, iPodTouch. Other versions iPodMini, iPod Classic were also introduced. First the iPod Shuffle was a digital audio player that having four generations. The first generation was released in January 11, 2015 having the memory capacity 512MB to 1GB. It can be plugged with the computer's USB port. It lacked in display scroll wheel and playlist management. The second generation iPod Shuffle was introduced in September 12,2006. The memory capacity of this device was 1GB And later it was increased into 2GB. It could be available in that time with several colors and styles. The third generation iPod Shuffle was released in March 11,2009. Its memory capacity was 4GB in that time. The fourth generation of iPod Shuffle was introduced in September 1, 2010 with the memory capacity of 2GB. iPod Nano was introduced in September 7, 2005 as the replacement of iPod Mini. It was developed with seven generation with the objective of reducing the size. The first generation was released on September 7, 2005. It used flash memory for data storage. At that time its memory capacity was 1 GB ad later expanded into 4GB. The second generation was introduced on September 12, 2006 with the memory capacity of 2GB and expanded upto 8GB. It introduced the gapless playback of audio and video files. It was available in green, blue, silver, pink colors. The third generation was introduced on September 5, 2007 with the memory capacity from 4GB to 8GB. It was also identical to the iPod Classic. New features browsing via coverflow, supports for new games, improved user interface are included in this version. Next the fourth generation released on September 9, 2008 with 8GB to 16GB memory capacity. Fifth generation iPod Nano was introduced on September 13,2009. At that time its memory capacity was 8GB and later it was expanded into 16GB. Sixth generation was released on September 1,2010 with the memory capacity 8GB and expanded into 16GB. Seventh generation was introduced on October 12,2012 with 16GB memory capacity. iPod touch was introduced on September 5, 2007 with six generations. It is an all purpose pocket computer which runs based on the iOS Operating system. The first generation having the multi touch display and storage capacity upto 32 GB. The RAM capacity was 128MB DRAM. Second generation introduced on September 9, 2008. Third generation introduced on September 9, 2009. Fourth generation released in September 1, 2010. Fifth on October 11, 2012. Last generation was introduced on July 15, 2015. iPod Touch can be used as music and video player, digital camera, hand held game device, and personal device assistant. It wass include the features such as cut, copy, paste and data tethering Push notification support etc. Having the messaging feature and reminder features. It contains passbook, facebook, and other internet features. iPod Classic also a type of media player released by Apple with Six generations and discontinued in September 9, 2014. The company released thefirst generation of iPod Classic on October 23, 2001. Second on July 17, 2002. Third on April 29, 2003 thinner than previous models. Fourth on July 19,2004. Fifth on October 12, 2005. Sixth on September 5, 2007. All the generations used a 1.8 inch hard drive for storage. 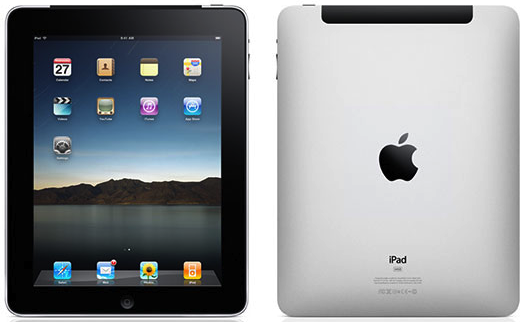 iPad was released on April 3, 2010 which was an IOS based tablet computer consist of 6 generations. Initially the IPad was only available on the Apple Store and now it become available in Amazon, Wal-Mart, and network operators. It was launched in Australia, Canada, France, Germany, Japan and United Kingdom. 300,000 IPads were sold on their first day of availability. The user interface Design of the device consists of multi touch screen including virtual key board. This iPad contains built in Wi-Fi connection. The second generation of iPad was launched on March 11, 2011 which also added a dual core Apple A5 processor, Face Time video calling and this reduces the thickness of the device. The third generation was released in March 16, 2012. This device added retina display (A brand name used by Apple with higher pixel density) with 5 megapixel camera, 1080p video recording (Full High Definition or FHD). The fourth generation as the Mini’s First generation was introduced on November 2, 2012. It adds the Apple A6X processor. iPad Air released in November 1, 2013 that contains Apple A7 processor and Apple M7 motion coprocessor. Mini 2 was released on November 12, 2013. Air 2 and Mini 3 was introduced on October 22, 2014 features the touch ID and fingerprint sensor. iPhone is one of the smart phones introduced by Apple Inc That runs based on iO S operating system. The first generation iPhone was introduced on June 29, 2007. There are eight generations of iPhone. A multifunction sleep/wake button is located on the top of the device that serves as the unit’s power button. The display responds three sensors which are used to enable the motion controlled gaming applications and location based devices. Proximity Sensor: Deactivates the display and touch screen when the device is brought near the face during phone calls. This is done to prevent in advertent inputs from user’s face and years. Ambient Light Sensor: Adjust the display brightness in order to save battery power. Gyroscopic Sensor: It is used for enhancing the perception of how it is moved. it was beginning with the iPhone 4 generation and Apple’s smart phones also include a Gyroscopic Sensor. Apple TV was released on January 9, 2007 that has three generations. The first generation offered iTunes, YouTube, Flickr. Uses can access the iTunes store directly thorough apple TV. It could downloads the content from the internet. The second generation was released on September 1, 2010. Now the Apple company products are grown rapidly such as Mac, iPod, iPad, iPad Mini, Apple TV, Apple Watch, OS X, iLife, iWork, iOS, watchOS. Apple watch is a smart watch developed by apple Inc. It incorporates fitness tracking and health oriented capabilities as well as integration with ios and other apple products and services. It is compatible with the iPhone 5 or later models running iOS 8.2 or later, through the use of Bluetooth or WiFi Announced by Tim Cook on September 9, 2014. Here is an info graphic on Apple Evolution from infographicspedia website.